← Leonard and Lula — So adorable! I saw the tail end of Charlotte’s Web the other day on T.V. 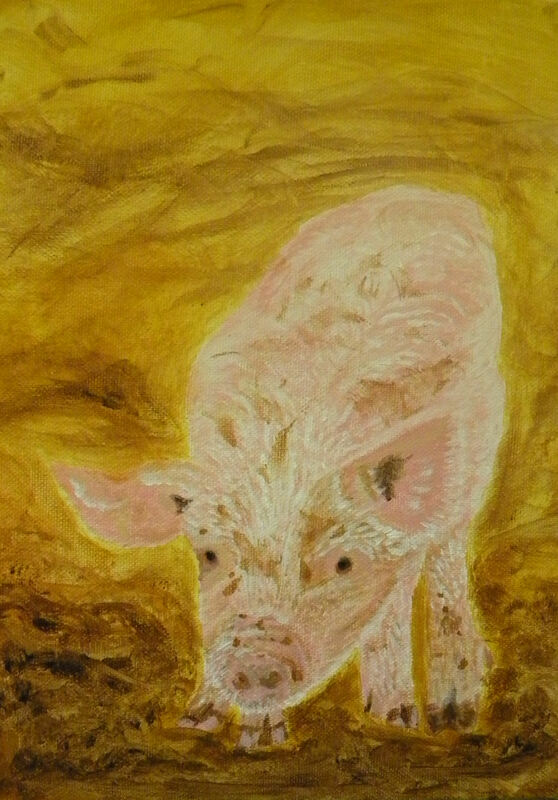 and decided to paint my own version of Wilbur the pig! Charlotte’s not with him unfortunately. But he will be for sale next Saturday in my booth. Posted on May 17, 2014, in Art Talk and tagged drawings, paintings, pencil, watercolor. Bookmark the permalink. 8 Comments. I had just finished re-reading Charlotte’s Web again last month (previously over 10 years ago). Great painting! What a pig!